Casinos, no matter if they are online or land-based, offer their players a variety of games. 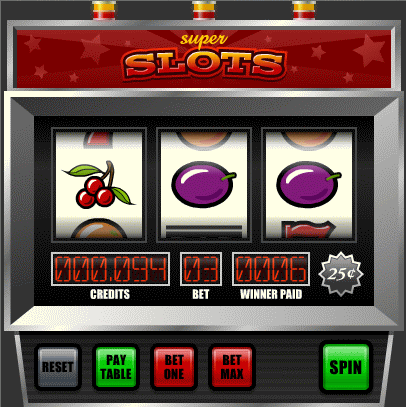 Slot machines are the most played ones, partly because of their simplicity and ease of use but also thanks to the big sums players can win on them. They are very popular indeed… but are they the most fun to play? Or are there other games in casinos – online and land-based alike – that can be more satisfactory than merely spinning the reels of a slot machine? The game of craps is one of the few games that you shouldn’t play online. It’s a complex game of chance, with many betting options, but played alone it can be quite boring. In land-based casinos, in turn, it is considered one of the most entertaining games of chance – not because of its gameplay itself but the surroundings. Craps tables are always the loudest gaming tables at casinos, with people betting, rooting for the shooter – the game of craps is perhaps the most social game at a land-based casino. This is the only game that offers an inferior experience to online players. No matter how much you enjoy playing it at the 7 Sultans, you’ll enjoy it more in a real life setting, surrounded by a crowd. No matter how mesmerizing a slot machine’s reels can be, the game becomes boring after a while. There is a lot of movement, things happen very fast, but the player action is limited to feeding the game coins and spinning the reels. Video poker is different: it’s a game where players can decide which cards to hold, and which ones to discard. Even so, video poker is a fast-paced game (it usually takes not more than half a minute to play a hand), filled with action, which makes it more fun to play than a slot machine. Video poker is actually better played online. You can play video poker at 7 Sultans online casino from the comfort of your home, not standing or sitting on an uncomfortable barstool in a noisy lobby. Plus, the 7 Sultans allows its players to quickly switch from one game to another – it has several variants of the game available for its players. Of all casino games, blackjack is the one that involves the most action on the player’s part, which makes it one of the most entertaining casino games ever. Blackjack is also one of the few casino games you can actually be good at – no wonder it’s the preferred game of professional gamblers. It is a ton of fun to play even with no real money involved, and the addition of real stakes makes it even more exciting. Besides, it has many variants to explore – the 7 Sultans has at least half a dozen blackjack variants, each one with its own twist on the rules. The use of strategy and thinking doesn’t make it slow-paced and dull but action-packed and entertaining.